Four of us spent four days in Endau Rompin National Park last week. We were there exploring the rivers and streams for dragonflies. Due to the pristine habitats, we were able to see many nice forest species. I observed and video-recorded interesting behaviour of Neurobasis chinensis (Green Metalwing) and Libellago aurantiaca (Fiery Gem). I will post about them in the coming few weeks. On day 2 we were exploring a stream just outside the park. 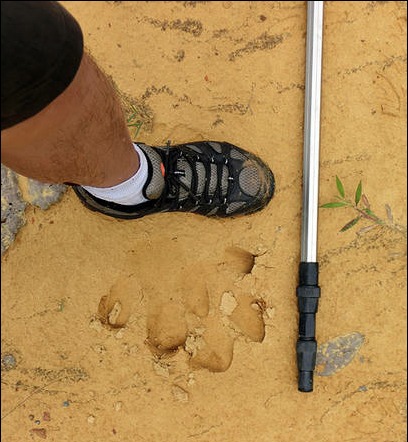 We saw two animal tracks, left behind by two large animals, probably strolling along side by side. We were excited to see the tracks but were unfamiliar with animal footprints. We know there are Sumatran Rhinoceros, deer, black leopards, tigers, tapirs and elephants living in the park. 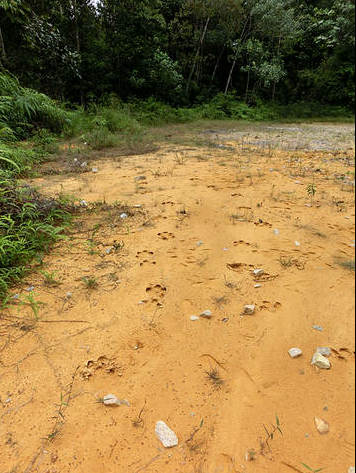 We were hoping that those were tiger tracks, but I knew they probably were not, as tigers are solitary animals. The chance of two adult tigers walking side by side is almost non-existent. 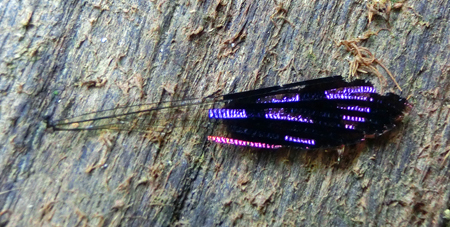 This is a wing of a beautiful insect. Do you know what insect it is? 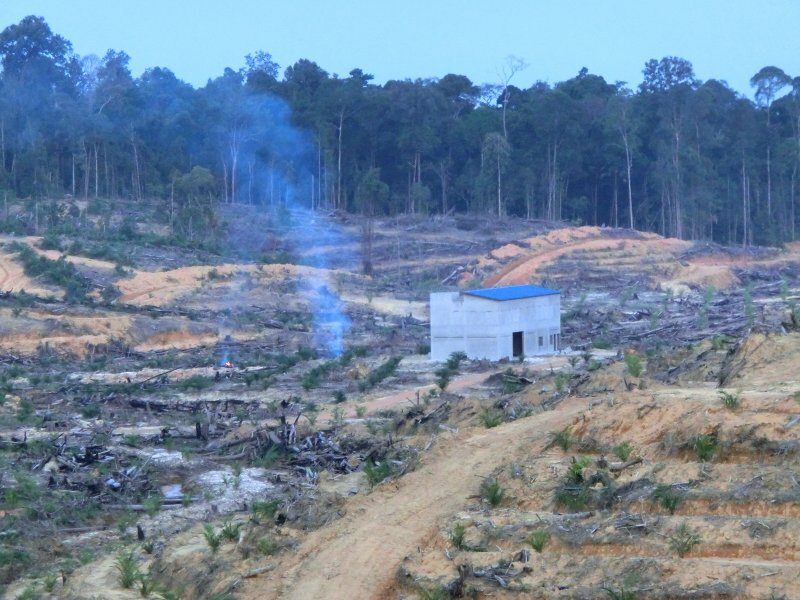 In Malaysia, and some other countries too, oil palm plantations are rapidly replacing the rainforest habitat. It is very sad. On our way to Endau Rompin National Park, we saw oil palm plantations all along the way. Just 10 km before the park entrance, we saw a large area of rainforest just cleared for yet another oil palm plantation. 30 or 40 years ago, we hardly used any palm oil. Now our demand for palm oil is so huge and is still growing fast. There are many alternatives to palm oil, such as canola oil, peanut oil, sunflower oil and coconut oil, but unfortunately none as cheap or efficient, which is why companies are reluctant to switch. 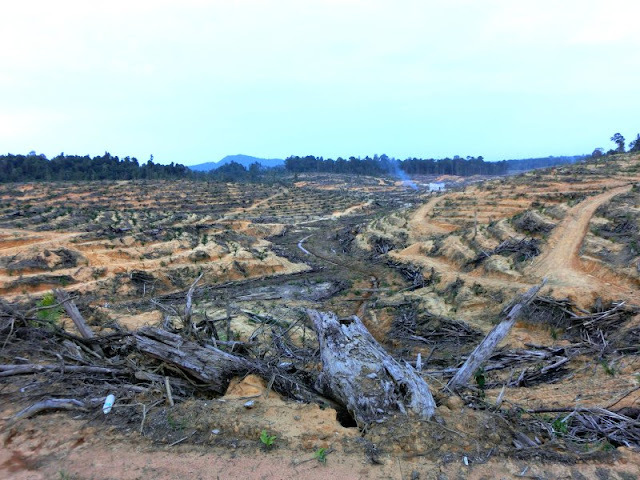 But what is the real cost of palm oil?